Our specialty trips are based out of Pisac Inn, offering a unique travel experience. 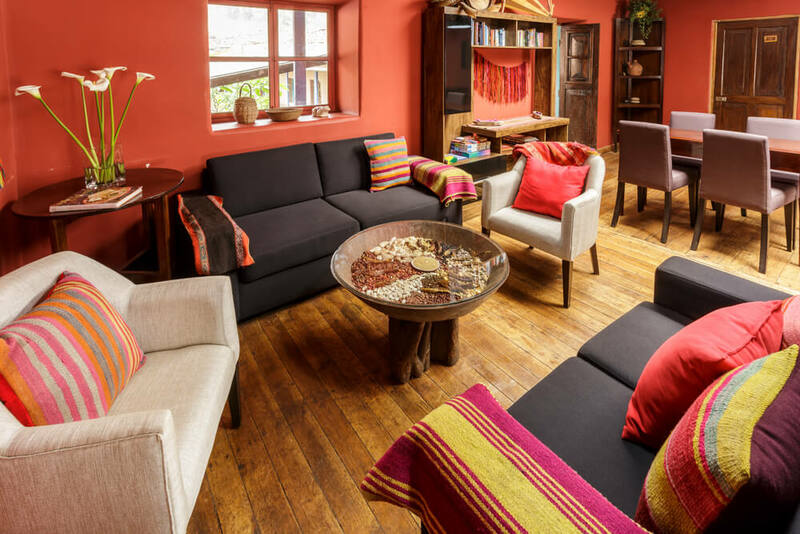 Staying at Pisac Inn for the duration of your stay allows for an in depth immersion experience in keeping with our vision, and our guests can settle into their room with no packing and unpacking. 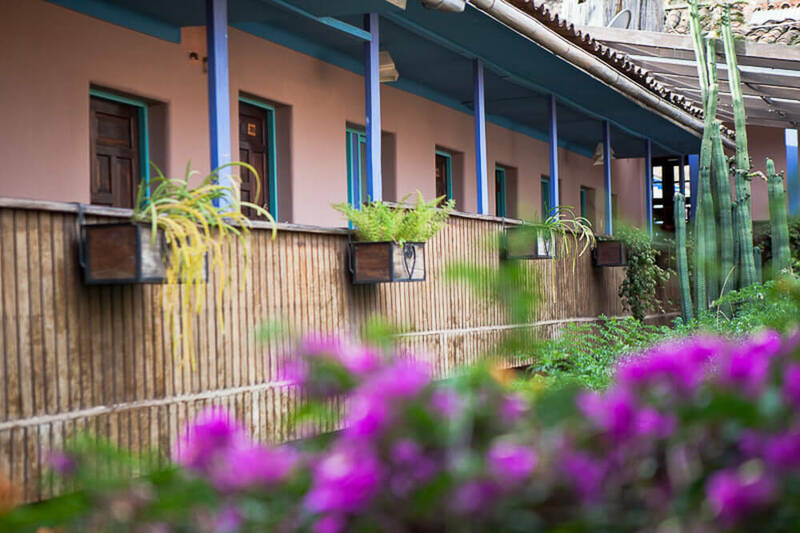 Pisac Inn is a small boutique style hotel with historic charm and artistic flair. Our staff attends to your needs with warm and personal attention. On trips that are not based out of Pisac Inn, we assist you in selecting recommended hotels that share a similar spirit as our vision. We give preference to working with an array of three, four and five star hotels that are connected to this land, rather than larger, impersonal hotel chains. If you prefer staying at different hotels in different locations throughout your trip rather than being based out of Pisac Inn, we are happy to customize a trip. We are also happy to upgrade hotels in any of our itineraries, or customize your trip, using four and five star hotels of the region. How much should I budget for tips? Many guidebooks express that tipping is not customary or expected in Peru. We have a different approach. Though it may not be expected, tips are a special way of showing ones appreciation. We strongly encourage tipping, and feel that it is a wonderful way to support the culture and economy. Though tipping amounts vary 15% – 20% is a general rule of thumb. At Pisac Inn you can leave a tip for housekeeping in the room, and we encourage our hotel and restaurant guests to leave tips for the rest of the staff in the jar at reception that is divided equally among them. Please tip your driver and guides directly, and if you have a treatment at the spa, please leave tips at spa. Peru is five hours behind GMT (same as EST), and daylight-savings time it not observed, so during these months (April-October), Peru is on CST. When is the best time to visit Peru? What is the weather like? Peru’s seasons present different opportunities to see various aspects of her beauty all year round. The seasons are opposite those of the northern hemisphere, so December is the middle of summer and June begins the winter months. There are festivals in each season and wonderful activities year round, depending on your tastes. We do have a rainy season, but the sun usually shines every morning with downpours in the afternoons. Rainy season tends to be November through April, with wettest months from January to March. Machu Picchu is in the rainforest, so visiting the site during the rainy season is going to be wet. Raingear AND sunscreen are necessary all year round. In the higher altitudes, the changes in temperature from day to night are significant and sudden, so layers of sweaters and jackets are ideal. Daytime temperatures may range from F70’s highs to nighttime lows of F30’s. Best to check Peru weather on the internet for the times and locations you will be visiting. Bring layers and extra pairs of shoes to stay dry and warm. Travelers can visit Peru any time of the year. Dry season runs from May to November and this is typically the time that is most recommended. However, this is also the cooler time of year. Nighttime temperatures can drop to below freezing at the height of the dry season. June, July and August are the most popular months to visit so you will tend to encounter much larger crowds during these months. In the wet season (December to April), you can expect showers three to four afternoons a week. For travelers that don’t mind a little drizzle and muddy trails, this time of year offers smaller crowds and greener hillsides, with wildflowers and orchids often in bloom. The shoulder seasons, April to June or September to November can often provide the best of both worlds. They typically have fewer crowds and warmer temperatures than the height of the dry season, but still tend to have relatively little rain. A valid passport is required for trip registration. 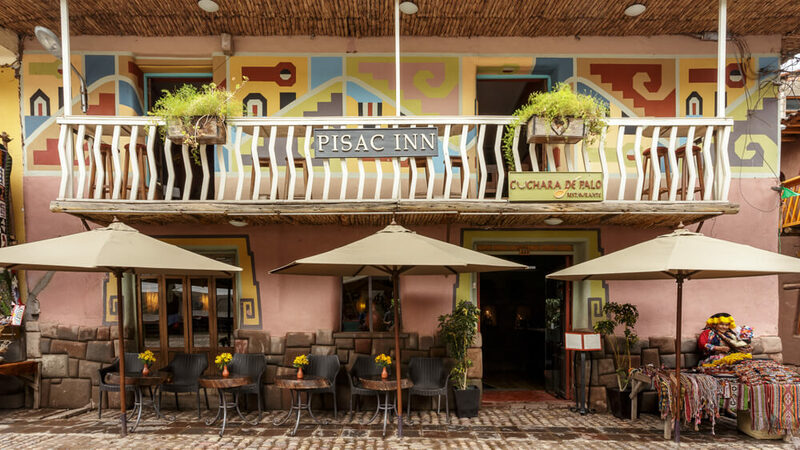 We have to have your passport information prior to the trip so that we can make reservations for your hotel rooms, train tickets and for your stay with us at the Pisac Inn. Your passport should be valid for at least six months. No visa is necessary for citizens of the United States. Other nationalities must verify whether a visa is required. You will be given a tourist visa card (TAM) upon arrival in Lima, that you are required to return upon departure. It is a small, white piece of paper. DON’T LOSE THIS!! You will be required to show it during your travels in Peru at every hotel. It is required by Emigration when you prepare to leave Peru. You will give it to the airport emigration official. Does the tour rate include my airfare to Peru? What kinds of planes are used for domestic flights? No flights are included. Peru Cultural Journeys does not book international flights. We suggest getting your Peruvian national flights (to Cusco and to Lima from Juliacca if you will be going to Lake Titicaca) as part of your international flight booking. That way, if there are delays or flight changes, your complete booking will be recognized within the system and they will be responsible to assist you. The flight to Cusco from Lima is about an hour. Depending You can either stay overnight in Lima or travel directly to Cusco. Domestic airlines use commercial planes for these flights that offer inflight entertainment and snacks. You can check your airline, but most internal flights use 727s or similar size jet planes with a capacity of 80-120 passengers. Manu tours use smaller 10-15 passenger propeller planes typically. Is this a typical tourist expedition? What is the perspective of the guides? This is not a typical tour. This is a very personalized, exclusive exploration and way of traveling that permits you to learn about the authentic Andean culture from an indigenous point of view. It affords a different way of understanding the world in relation to the native world vision and values still practiced to this day. Many have described it as life changing on a very personal level, yet safe and comfortable. One friend said that this tour is for those sophisticated travelers who have seen many amazing places, yet are looking for something more profound, more connected, more meaningful, and most importantly that contributes to a positive cause. What is the typical age range for these tours? Are these trips suitable for travel with children? We have had travelers age 1-90 on our Peru tours. All ages are welcome! These trips are suitable for travelling with children, and we highly recommend our trips for travelling with children, as an unforgettably enriching experience. Peru is a child-oriented society. Children are the highlight of every event here. We feel exposing children to different realities, ways of living, and perspectives will enhance their lives beyond expectations, and this will benefit all of humanity by creating a deeper understanding of the world we live in by inspiring respect for all traditions. Your children will be welcomed full heartedly. In fact, traveling with children may open doors to experiences that may not present themselves otherwise. When Peruvians see children, they immediately connect on a human level. We can accommodate your needs as a family in any way. We can make arrangements for special activities if there are days the children would rather stay behind, and we can arrange trustworthy babysitters if necessary. We can make suggestions as to what may make traveling easier for them, habits to encourage at home before travel and special things to bring along. Are these trips a good choice for solo travelers? Absolutely!! We can either offer a private journey, or you can join a group. How far in advance should I book? Are tour dates flexible? Is travel insurance recommended? You can book at any time and generally the earlier you book, the better. Booking early (4 months or more recommended) is especially important for travelers visiting during the height of the dry season, June to August, as many of these departures fill up months in advance. Travelers visiting outside of these busy months can often book a bit more last minute, though 2-3 months notice is still recommended. Further, we usually recommend that you wait to book your international flights until after your tour is confirmed. The sooner that we arrange your tour, the sooner that you can take advantage of flight deals as they become available. We are often able to accommodate last minute travelers as well (some even departing in less than one week!! ), so give us a call and we will do our best. Absolutely! Check out our Extensions for ideas. Extra days can be arranged, such as Machu Picchu, Cusco, and extensions include the Rainforest, Lake Titicaca or Lima. Let us know how you would like to customize your program and we will create your ideal trip. Tips are greatly appreciated, and we highly encourage tipping as a wonderful way to express your gratitude, especially if you are happy with the service you receive. 10 – 15 % is a nice tip in Peru. Though tipping amounts vary widely and are personal decisions, guests report $5 – $10 a day for each staff member (per group), and $1 – $3 a day for your driver. If you are on one of our trips based out of Pisac Inn, you can leave the tip in an envelope at the end of your stay and it will be divided among the staff. Please tip the driver directly. For spa treatments please leave the tip at time of service. Gifts: Many travelers also bring small gifts from their home to give to service providers, and to young children. For the children we suggest school supplies, arts and crafts materials, face creams: be creative! We suggest not bringing candies and gum. Photos: When you take photos on the street they will expect about a sol per photo. Be prepared to have this on hand before taking a photo. Can I use my cell phone? Is there reliable Internet service available? Communication: Pisac Inn has WiFi, and offers use of a computer with internet in the sitting room. Please note that Pisac Inn makes every effort to provide the best possible internet service available, however due to our location nesteld in the Andes, it is not always constant. For phone calls we recommend phone cards which can be purchased in Pisac and calls can be made at the Pisac Inn front desk. Please ask your cellphone service provider for information on interntaional use in Peru. What is the most effective way to make a contribution to any of the cultural projects I will be encountering? PCJ promotes several amazing cultural, social and educational projects that help sustain the endangered traditional way of life, working for the preservation, practice and celebration of this ancient culture. You can make direct donations in Peru for specific projects you will learn about during your stay, or tax-deductible contributions through Pachamama’s Path Foundation. Visit www.kusikawsay.org and www.pachamamaspath.org to learn more about specific projects promoted by PCJ and how to make donations. Yes, please contact us if you are not able to travel on the set departure dates. All tours can be arranged on alternative departure dates for a minimum of two travelers. In fact, we tend to work mostly with small private groups who choose dates that work best for them, and we enjoy working this way. Many of our groups are families or friends who decide to travel together, and prefer the intimate personalized feel we cater to. You can choose any dates that suit your schedule, and we can plan your itinerary from there! Since the Peruvian climate varies dramatically depending upon elevation and season, layers are the best solution. The high altitude climate of the Andes quickly shifts from extremely hot in the sun, to extremely cold conditions. Comfort is the rule and fancy clothes are not necessary. Once you book your trip we will send you Travel Packet with a detailed Packing List. Do I need a converter or adaptor for the electricity? Peru uses 220 volt, 60-cycle electricity. Travelers will require a voltage converter for 110-volt devices. Plugs are typically the 2-pronged flat type found in the US, though some facilities have been noted to use the 2 rounded prongs instead. Pisac Inn has outlets for both flat and rounded. Most electronic devices are now apt for both 220 and 110, such as computers, phones, cameras etc. Most restaurants, markets, and other service providers readily accept US dollars as long as they don’t have any rips. They will generally give you change in local currency. The local currency is the Sol. It is handy to use local currency in markets as you will have smaller denominations to bargain/ tip with and don’t need to worry about your currency looking pristine (ripped Soles are common and readily accepted). You can exchange money in most towns, such as Pisac. Cusco will give you a slightly higher rate. The exchange rate fluctuates daily. Should I bring cash or Traveler’s checks? Are ATMs available? Can I use credit cards? Most travelers bring a small amount of US cash with them and withdraw from ATMs as they need it along they way. ATMs are readily available in the larger towns and cities. Pisac has several ATM machines. Travelers can withdraw US dollars or local currency at fair exchange rates. Traveler’s checks are not recommended as can be more difficult to exchange and you will usually receive a poorer rate or be charged an additional fee. Credit cards are accepted only in the larger restaurants and stores. Although it is helpful to bring a credit card along for emergencies, don’t count on using it for most purchases, and it is common for small establishments to have a 6% surcharge. Please make sure that your dollar bills are not ripped or worn, as you will be given a lower exchange rate. Absolutely! We recommend TravelGuard, or your personal choice that provides trip cancellation, medical expenses, medical evacuation, lost bags, etc. There are generally two different types of insurance available, depending upon whether or not you will need the cancellation coverage. Does Bolivia Require a Visa? Bolivian Visa Information: Citizens are required to have a Visa to visit Bolivia. Please plan accordingly to secure visas with enough time before travel date. The cost of the visa is not included in the tour price. Our signature trips, such as the Authentic Andean, are based at Pisac Inn in the small town of Pisac, in the Sacred Valley of the Incas, just 45 minutes outside of Cusco. 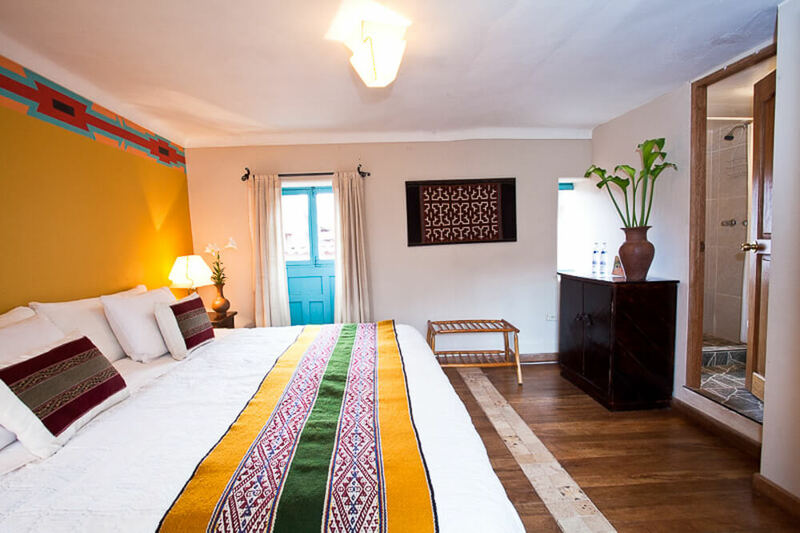 Pisac Inn is a small boutique style hotel, full of enchanting details that honor Quechua tradition, with historic charm and artistic flair. 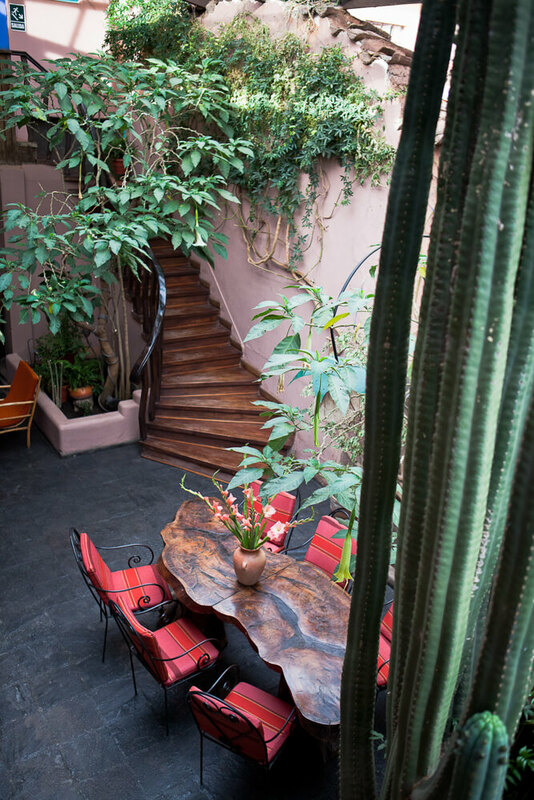 The décor features native colors and symbols, with windows onto the interior courtyard. The Inn is directly on the town square; you can sit on the balcony or enjoy the sidewalk café to watch the market, or enjoy the interior patio. An upstairs lounge offers space to unwind after an active day of sightseeing. Pisac Inn offers Wi-Fi in common areas, and has a computer with Internet. 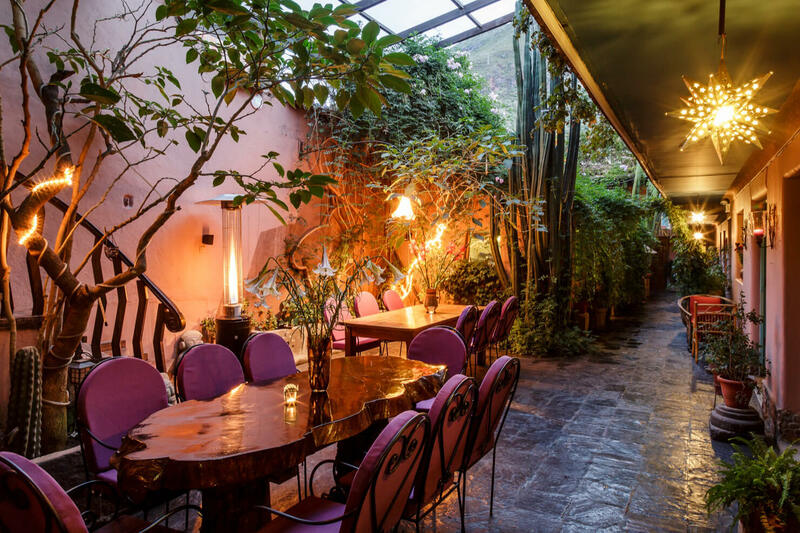 Cuchara de Palo, “Wooden Spoon”, the restaurant in the Inn, provides the best of Peruvian cuisine, and prepares the selected set menus for groups, serving daily specials prepared with fresh, organic produce. The staff is friendly, speaks English, and is eager to make your stay memorable. Attending to your needs with personalized attention creates a relaxed atmosphere and warm hospitality that celebrates the continuity and vitality of this ancient living culture. Staying at Pisac Inn for the duration of your stay offers a unique travel experience that allows for an in depth immersion in keeping with our vision, and our guests can settle into their room with no packing and unpacking. At the Pisac Inn, laundry services are available at a reasonable cost. Massage and herbal baths are also available at Unucha Spa. If you would like to experience a Special event for your group (cooking classes, star gazing, coca leaf ceremony, presentation of native herbal healing and more), these events can be arranged ahead of time at additional cost if not already included in your program. On tour and on Extensions you will stay in nice local hotels, which have been carefully selected for convenience of location with Pisac Inn standards of cleanliness. If you travel to the Lake Titicaca islands, you will stay in native-based accommodations—in some cases, in peoples’ homes, getting a first-hand experience of native hospitality. On trips that are not based out of Pisac Inn, we assist you in selecting recommended hotels that share a similar spirit as our vision. We give preference to working with an array of hotels that are connected to this land, rather than larger, impersonal hotel chains. We can customize your trip and Hotel upgrades for any of our itineraries, using four and five star hotels of the region. Are meals included? What type of food is typical of Peru? Can you accommodate vegetarian special diet requirements? Is the water safe to drink? Most meals are included and are woven into the itinerary as a very important part of the whole experience we create. When you receive your program included meals will be indicated for each day. Snacks and beverages not included in meals are an additional cost, including beer, wine and cocktails. We use fresh and organic ingredients, with local seasonal produce sourced from our garden and from the Kusi Ñan Farm when available. Everything is homemade in our kitchen, using traditional and original recipes that celebrate the abundant diversity of products, flavors, colors, and aromas that have won special recognition for Peruvian Culinary Arts. Peruvian Cuisine is recognized as one of the most exquisite and sophisticated in the world. We feel that introducing our guests to this culinary treasure is a very important part of understanding the culture. We design a special three course set menu for each meal, including a soup or salad, main course, dessert, refreshment, and tea or coffee. Not one recipe is repeated the whole trip! We have received countless compliments on the food. We love food, and all of our trips have been acclaimed as ideal for foodies! We offer a Culinary Tour for those of you who would like to delve in deeper. Typical Peruvian food is a delicious, nutritious, and creative combination of flavors using a variety of produce. Peru’s diverse geographic regions and natural biodiversity, along with invaluable Pre-Columbian agrarian technology and engineering feats, has made possible such an exquisite cuisine. The culinary boom offers traditional dishes such as a creamy chicken peanut dish called Aji de Gallina, Quinoa soup, and purple corn refreshment. The Nova Andean boom offers dishes such as Alpaca steak with elderberry sauce, or passion fruit trout, and quinoa stir-fry. Peruvian cuisine offers some of the most diverse flavors on the planet due to a myriad of produce: potatoes, corn, fruits, chilies that come in an infinite array of sizes, colors, tastes and aromas unique to this region. Quechua world vision is centered on agriculture. All activity revolves around farming. Science, ceremony, ritual, was and still is focused on fertility and abundance. To read more about Peruvian Cuisine click here: Peruvian Cuisine. The regions of Peru are a vegetarian’s delight with a wide variety of dishes, both native and adapted from other cultures (like stir-fried quinoa). Gluten-free and other diet requirements are available at the Pisac Inn and in most restaurants where you will be eating. The tap water in Peru is not drinkable. Bottled water is available for purchase at the Pisac Inn and everywhere you will be traveling in Peru. We suggest you bring your own water bottle for refilling. It will be important to drink LOTS of water daily. The high altitude will dehydrate you quickly. Is it easy to book international and domestic flights in Peru? For booking international and domestic flights we recommend using your preferred travel agent from your country of destination. Prices are comparable, and it is generally easier from there. What types of transportation are used on the tour? Peru Cultural Journeys uses professional, private transportation services, vehicles and drivers licensed for tourism. We use the same vehicle and driver throughout the trip, when possible. Depending on group size, vans or cars are used. These are more comfortable, more maneuverable on mountain roads, and less conspicuous than large tourist buses. Going to Machu Picchu, we use the tourist class train. It offers amazing views of the Sacred Valley and a high travel standard. For students, we use the Expedition train. For Luxury trips, we use the Hiram Bingham train. At Lake Titicaca, we use a cabin cruiser that offers a smooth ride on the lake, as well as rooftop cruising for the best view of the islands, including the Uros floating islands. How do I get to the Pisac Inn from the Cusco airport? You will be greeted at the Cusco airport with a sign with your name. Upon arrival to the Cusco airport all transportation is organized and included. What immunizations are recommended / required? No immunizations are currently required for visiting Peru. For the most current information, please consult your doctor and/or check out the Center for Disease Control web-site at www.cdc.gov. What is the Zika Virus situation in Peru? Altitude affects each traveler differently and until you have visited an area with high altitude, it is impossible to predict how your body will react. Pisac is lower than Cusco, so that is a benefit of staying in the Valley. Commonly, our travelers report mild altitude symptoms such as fatigue, headache, or light-headedness during their first day or two at elevation. Resting the first day is very important, which is why our itinerary allows for time to rest and acclimate on the first day. Drinking lots of water and coca tea throughout your trip is also very helpful. If you experience more severe symptoms there is a fully equipped mini hospital in Pisac that offers experienced assistance to tourists with altitude sickness, or any other health condition or concern. There is a doctor on call 24 hours. Severe altitude sickness is rare. In this case, the best treatment is to go down in elevation as soon as possible. We have never had a traveler that had to be evacuated to low altitude. Many severe cases of altitude sickness are the result of a pre-existing condition that is aggravated by the altitude. It is important to ask your doctor whether or not travel to high altitude is advised, especially if you have a pre-existing heart or lung condition such as high blood pressure, asthma, angina, etc. You might also want to ask your doctor about prescription Diamox, a diuretic that many travelers say helps them adjust to the altitude more readily. What immunizations are recommended or required? No immunizations are currently required for visiting Peru. They are often recommended for Peru, but are not obligatory. Please be reminded that most of our tours do not enter any rainforest areas, therefore many recommended shots listed for Peru are absolutely not necessary. For the most current information, please consult your doctor and/or check out the Center for Disease Control web-site at www.cdc.gov. Is traveling in Peru suitable for kids? Absolutely! We feel that traveling with children and exposing them to different cultures is an enriching and invaluable experience. They will absorb all of the subtle details, which will influence their formation for life. Peruvians love children: you will find that many doors will be opened when traveling with children and you will receive special attention.